Often, one considers the cost instead of the benefits that will accrue. Which is the greater or lesser; what is right? The allocation of salmon harvest upriver and downriver, along with the Columbia River treaty with Canada, are two of those benefits that were decided in a different time with different needs. Things have changed considerably in 50 years. The big dams on the Columbia and Snake rivers in Washington, Oregon and Idaho without fish passage changed salmon harvest forever. 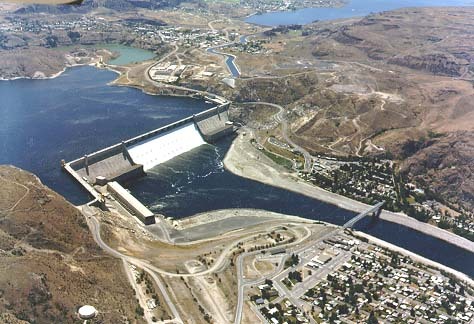 We designed big dams, which are marvels in their own right, yet it is claimed that fish passage at those heights is not possible. . . so we go around the problems. Allowing a reasonable percentage of individual salmon run projections to cross Bonneville Dam before anyone fishes is the only fair way to address allocation issues upriver and downriver. The commercial fish assassins are struggling to win it all when they should be assuring their share of hatchery salmon. The sturgeon are diminished for many reasons, yet gillnetting is still done. The only way to recover salmon and other native species is by restoring one watershed at a time. We are all responsible for their loss. Will we demand it and help? We have few years to sort it out.